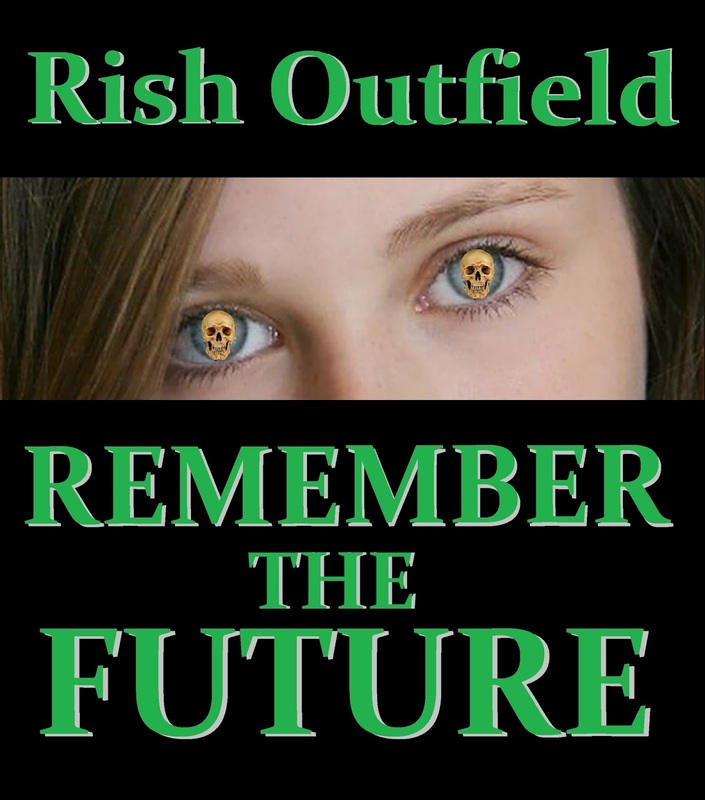 Just can't get enough of Rish Benjamin Outfield? Of course not, or you'd be kilometers from here. If you're up to it, check out my short story "Remember the Future," available at this link. It's a story I wrote not long ago about a high school girl, Tali Murray, who gets cursed by a witch: when she makes eye contact with someone, she sees how they will die. She meets a boy, sees his future, and wonders if it is set in stone. I know, I know, you didn't need all that. I had you at high school girl. Well, feel free to go over and buy the story, if you wanna know how I handle that particular ubiquitous premise, done to death, I fully recognize. I'm still deciding whether to run it on the Outcast, but while I deliberate, check it out!